Parents visiting their babies at the NICU often have older siblings with them, pre-school and school age children. 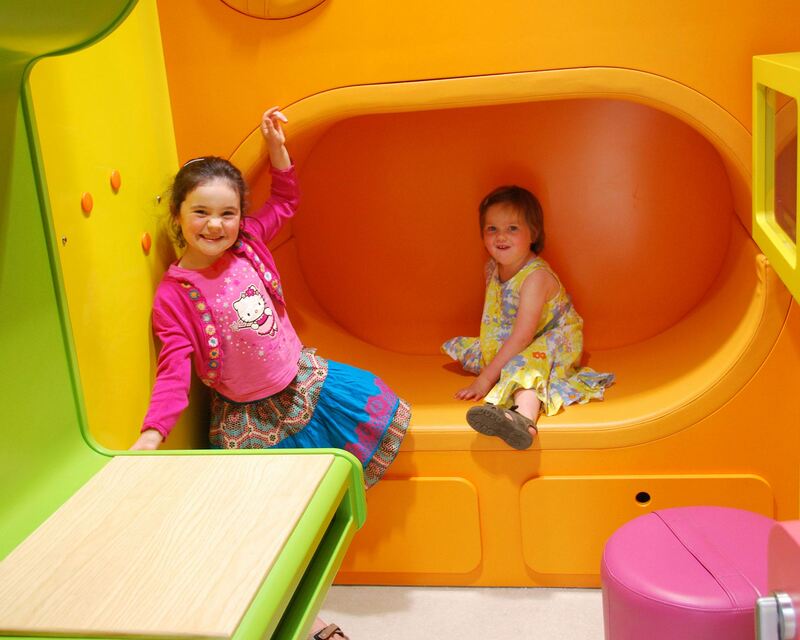 A safe space was needed to have fun and play without obstructing the working of the facility. In this case, the space allotted to the play area was quite small, so maximising its use was a priority. 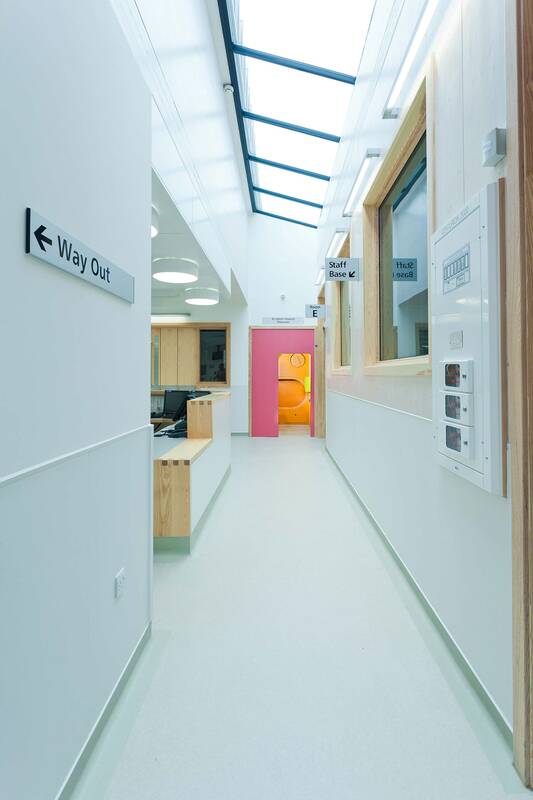 Infection control and safety are paramount in such a sensitive ward so appropriate materials need to be used, and the design needed to complement the building’s carefully researched design to promote the well-being of babies and their families. Working with parents and families, we gained an understanding of what would form a welcoming environment in difficult and stressful times. 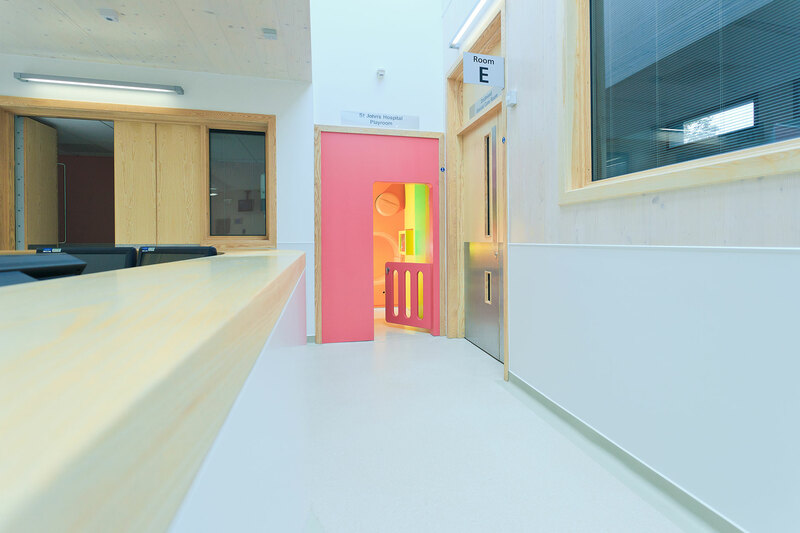 We chose a colour palette that is both attractive to children, but also reflects other alcove and ceiling spaces throughout the building. Fixtures are kept to a minimum, and soft smooth edges allow children to play safely and aid easy cleaning. 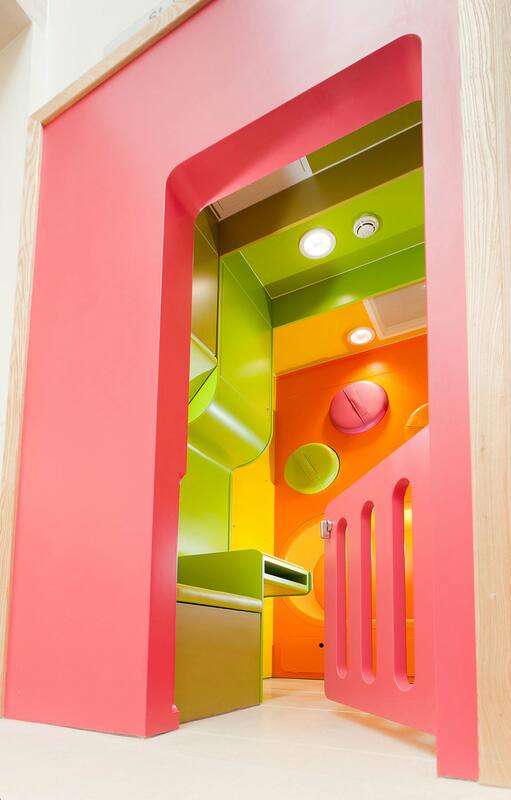 Continuous coloured slices define play and seating areas, for both children and parents. 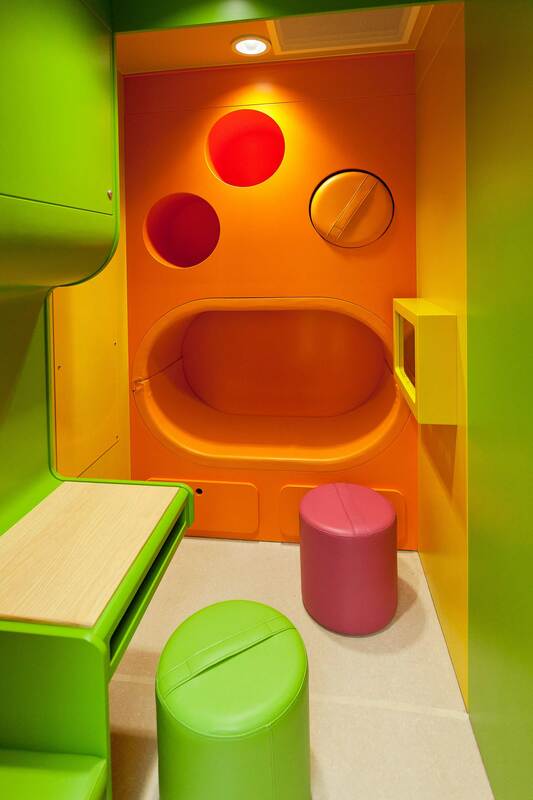 Storage for toys and additional seating that is stored in the wall allows staff to tidy up quickly. Finally, a child safety gate allows staff and parents to supervise the room easily. 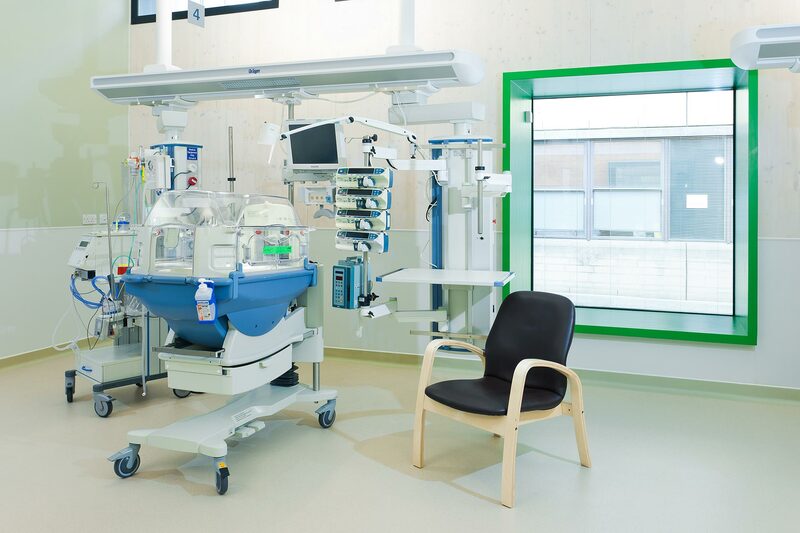 The sibling playroom is an eye catching corner of the incredible Dyson Centre NICU which has received multiple recognitions and awards for its sustainable and user-centred design. 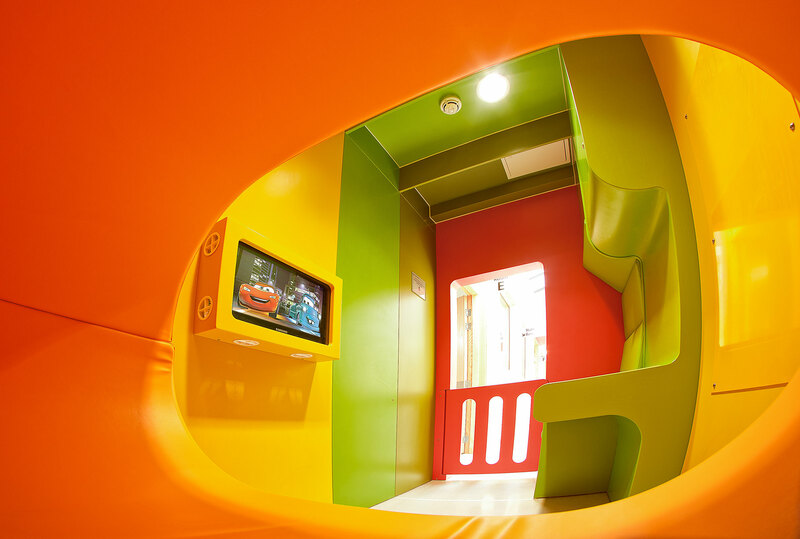 The playroom itself was one of seven shortlisted for the FX Design Awards 2011 in the Public Sector category. 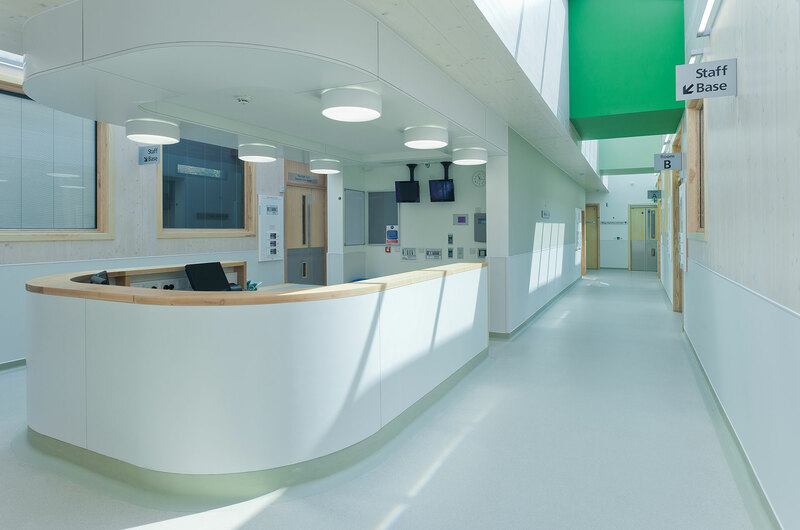 It continues to feature in research documents about the use of colour and space, particularly in healing environments.